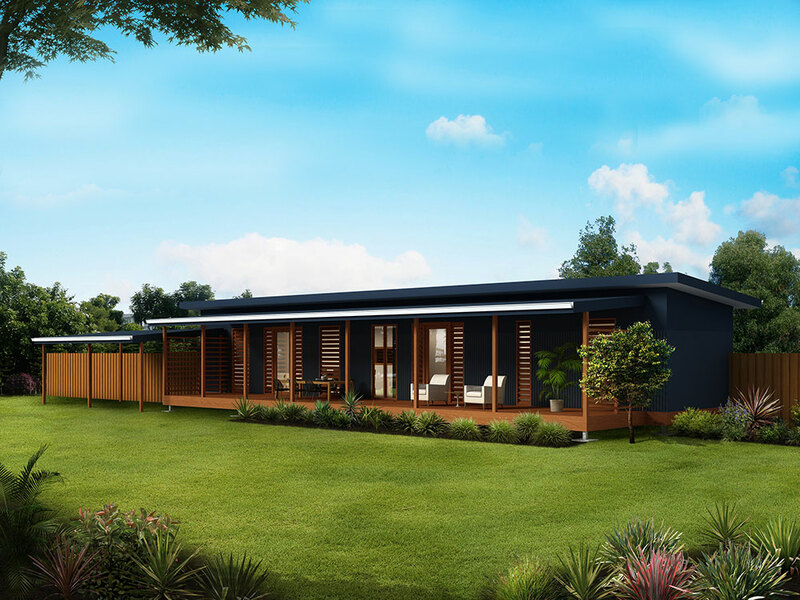 This two bedroom granny flat design is perfect for those with wide blocks and not much space left to build. Long and skinny, this design features two bedrooms with built in wardrobes, one bathroom and an open plan kitchen/dining/living area. A full length alfresco is big enough for entertaining and has two openings and multiple windows, letting in lots of natural light. 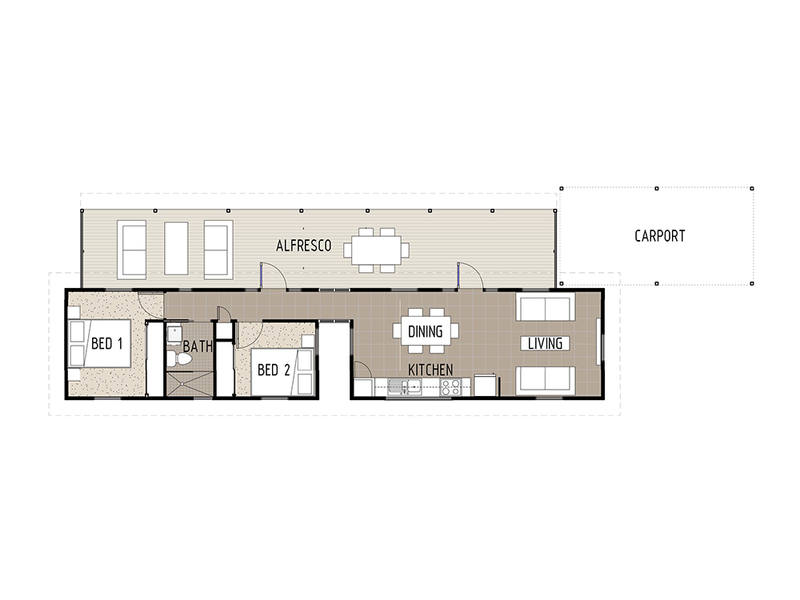 One carport space has been allocated to one side of the design.